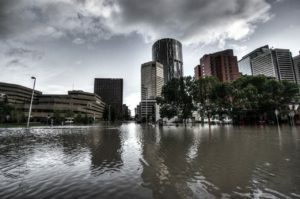 A brief primer on government disaster assistance in Canada - Parry Sound Insurance Brokers Ltd.
Nine provinces and one territory in the country have formal disaster assistance programs designed to help homeowners, renters, small business owners, not-for-profits and local governments recover after a loss event. Prince Edward Island, Yukon and Nunavut do not currently have formal programs and, thus, when they need access to funds as the result of a disaster, they retain a certain amount and apply for reimbursement for the rest using the formula outlined in the federal framework (see below). While each provincial disaster assistance program has its own variations, the programs probably have more on common which each other – at least in principle – than not. Homeowners: Beds, essential furnishings, essential clothing and primary appliances (eg. furnaces, water heaters, fridges, stoves, computers and televisions). Business owners: Supplies, essential work clothing and other necessities. Agricultural claims: Livestock fencing, staged and stored crop and some field erosion. DFA may also help cover the cost of clean-up, repairs and temporary relocation. Most programs offer very specific payout caps, while only a couple do not. * The PEI Emergency Measures Organization is currently working on formalizing a provincial framework which aligns with the other Atlantic Provinces. Virtually all provincial programs are very explicit about covering primary residences only (like Saskatchewan, Manitoba and Ontario). Some programs require that local governments apply to their respective provincial government to get recognized for assistance before individuals can apply themselves (like Saskatchewan and Alberta), while others allow applications by anyone once the province declares an event to be eligible for assistance. British Columbia and New Brunswick are examples of two provinces that provide a running list of active eligible disasters on their respective disaster assistance web pages. The provision of federal disaster assistance seems to be where most people get confused about how disaster assistance works in Canada. Federal disaster assistance is paid by the federal government to provinces and territories and not directly to individuals or non-governmental entities. One of the most common misconceptions is that individuals can apply directly to the federal government for assistance, but this is not the case. Thus, the DFAAs work in a similar manner to reinsurance. As noted at the outset, provincial disaster assistance is intended to provide funding for uninsurable losses. As such, and because many hazards are insurable in Canada, the bulk of provincial and federal disaster assistance paid out historically has been for overland flood. But this, it appears, will change. With the introduction of overland flood insurance in Canada in February 2015, and with several companies now offering the coverage, some provincial disaster assistance programs have made it clear that the writing is on the wall for the payment of disaster assistance for overland flood. Likewise, Saskatchewan notes that “…insurance providers recently started to offer policies that protect homeowners from overland flooding. The Government of Saskatchewan advises all property owners to obtain adequate coverage for their property.” The province has made available an Overland Flood Insurance fact sheet and advises property owners to contact their insurance company about flood coverage. There is an intricate, often complicated relationship between the existence or availability of private insurance and the provision of provincial disaster assistance. This relationship has taken a few new twists with the introduction of overland flood insurance in the country. And, so, it is worth keeping on eye on how provincial disaster assistance programs deal with the proliferation of overland flood insurance products and how they decide what the impact will be on the provision of disaster assistance.